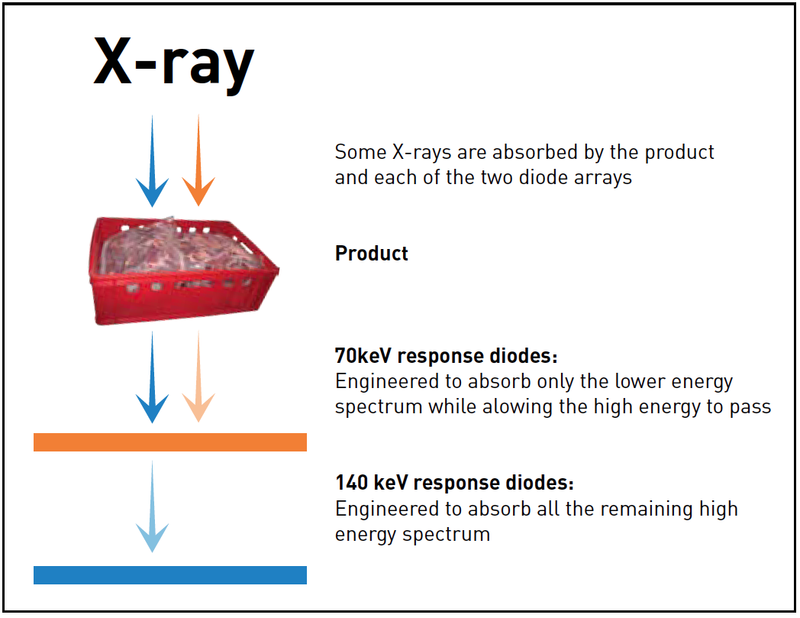 Welcome to the X-ray Inspection Knowledge Base section of our website. This area will provide you with a multitude of educational data on X-ray product inspection. For more information please do not hesitate to contact one of our technology experts. We will be happy to provide you with everything you need. Utilizing x-ray inspection technology on your production line can eliminate costly recalls, public relations nightmares and save on high labor expenses that can cost thousands. With X-ray inspection, there is never a reason to close down your inspection line: the EAGLE PI systems are fully functional 24 hours a day, 365 days a year. The EAGLE PI X-ray inspection systems inspect packaged products in the following areas: check-weighing, metal detection, foreign objects, size, shape and can automatically reject defective items from the product line. Have questions about X-ray Inspection? 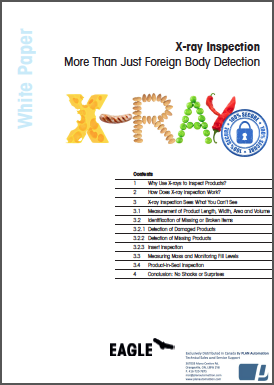 The following is a list of the most frequently asked questions on X-ray product inspection. EAGLE PI is the premium food safety inspection leaders, with a large global install base supported by a world-class service organization. They have the most complete range of equipment in the industry and continues to build solutions by listening to customers. They are leading the market in technologies, innovations, patents, knowledge and know-how. X-Ray inspection technology is quickly becoming the industry standard fo r all of your product safety and quality inspection needs. EAGLE PI's fifth generation image analysis software is the basis for our reliable "set and forget" line of X-ray inspection systems. X Ray product inspection is becoming increasingly more resourceful with new technology by Eagle. This technology is making it easier to detect more harmful chemicals and components in food. The following articles describe the technology and benefits in depth.